Point Loma Nazarene University's Ryan Library created this web site and the library's display cases, Spring Semester 2017. 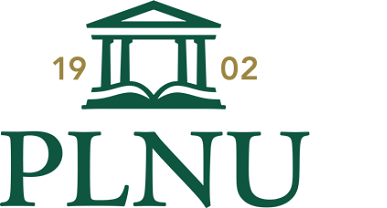 Some links may be accessible only to members of the PLNU community. 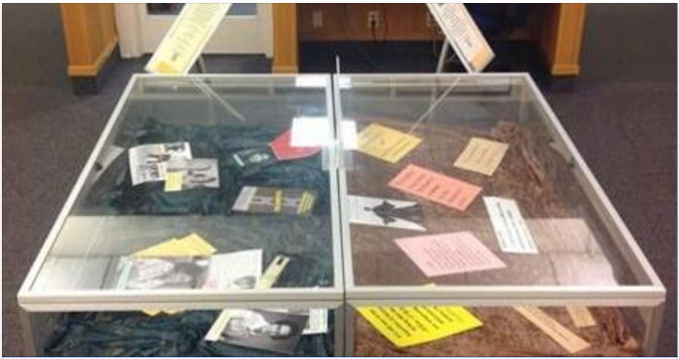 Spring 2017 Point Loma Nazarene University's Ryan Library and Diversity Council collaborated in the creation of two display cases. One featured Heroines of the Civil Rights movement. It included Ida B. Wells-Barnett, Mamie Bradley, Fannie Lou Hamer and Katherine Johnson. The second display featured information on Dr. Martin Luther King, Jr. and his May 29, 1964 speech in Golden Gym "Remaining Awake Through a Great Revolution." This web site provides supplemental material to those displays. Other, the - A person or group of people who are perceived to be different in some fundamental way from oneself and the group one perceives one belongs to. Otherness refers to defining characteristics of the Other, and othering is the process whereby otherness is mobilized to produce in- and out-groups within society and to justify the way in which Others are treated. For example, disabled people are often perceived and treated differently from able-bodied people, cast as the Other on the grounds of their impairment. Others are often defined by race, ethnicity, gender, and sexuality. Castree, Noel, Rob Kitchin, and Alisdair Rogers. "Other, the." A Dictionary of Human Geography. Oxford University Press, 2013. Oxford Reference. 2013. Members of the PLNU community can access the online Oxford reference books same way you access Canvas and campus Gmail. Contact a librarian for additional information. An in-depth video source for civil rights is the PBS series "Eyes on the Prize." Members of the PLNU community have online access to the Emmy award-winning series through Films on Demand database. Access these videos using your PLNU Network ID and Password. This is the same way you access Canvas and campus Gmail. Contact a librarian for additional information. We acknowledge that due to the subject matter readers may find images and text offensive. In addition, while we take great care selecting off-campus sites, PLNU has no control of their content. The fight for civil rights is not done. As you explore this web site consider what current civil rights issues you can champion. Referencing Dr. King's May 29, 1964 speech, we want to be "remaining awake" to what is happening around us. Use the comments link below to express how you see yourself being a part of ongoing civil rights issues.